Why The Heck Are The Cowboys Losing? How does one of the most talented NFL teams this year outperform their opponents by over a hundred yards per game in the last four games, but still end up with a record of 1-4? Well, if you were just guessing off the top of your head, then might say things like bad luck, too many turn overs, bad reffing, or lousy timing. But, in this particular case, your not quite right. The Cowboys in spite of all their natural and ingrained talent are losing simply because of a lack of discipline. And that conclusion is supported by the number of penalties they are taking. 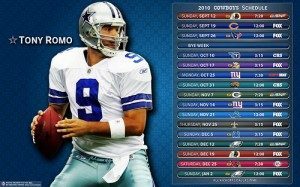 Right now, if you look at a certain undesirable statistic, the Cowboys are on a 10 game winning streak. But hey you say, what ever could that streak be? Well, for the past 10 games, the Cowboys have beaten their opponents in total penalty yards. No other team in the league even comes close to that streak. Checking the NFL portal, I think the next closest team has a four game streak. That’s a pretty damning number when you think about it a bit. Giving up a hundred or so yards in penalties, is almost like giving away a touchdown every game. It’s obviously a problem that needs to be addressed, and it needs to be addressed at the highest level. Simply put, Wade Phillips needs to step up and take control of his team. These are highly paid professional players, that need to get the basics right. There’s no excuse for taking stupid penalties over and over again in the NFL. Of course, any good coach will tell you, this is the kind of thing that needs to be address in practice every single day. Once the coaches make it an priority and start dealing with it, then I’ll start making my football betting picks with an eye towards a much improved Dallas Cowboys.